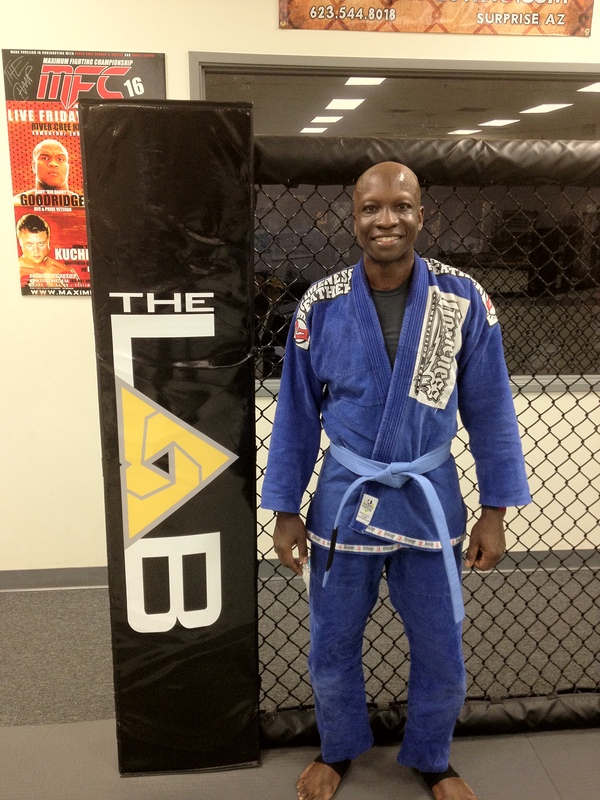 This morning Pathe Diop was awarded his blue belt! Pathe is a dedicated student and has been working for this for about 2 years. We are very proud and honored to add his name to the blue belt roll call. Congratulations Pathe! This entry was posted on Monday, March 12th, 2012 at 11:50 am	and posted in News. You can follow any responses to this entry through the RSS 2.0 feed.